With an ever-expanding lineup of attractions at Disney World and Universal, Orlando always has something exciting to offer. But there’s much more to Florida’s tourism hotspot than big-ticket entertainment. There are heaps of cheap and free things to do in Orlando, and they are just as fun as the theme parks. It may cost to get into the theme parks but you can visit Universal’s Citywalk entertainment complex and you only have to pay for parking. Citywalk is a mix of shopping, restaurants and nightlife, with plenty of free music and entertainment. Depending on the month of the year there may be additional free festivities throughout the complex. The brand-new Disney Springs complex at Walt Disney Resort offers plenty of low-cost and totally free ways to spend the day. This bustling waterside promenade is packed with unique boutiques, one-of-a-kind eateries and cutting-edge entertainment including live music and specialty acts. Little ones will love the Lego Imagination Center, where they can custom build their own Lego figures for free. Orlando’s new $250m entertainment destination is home to some awe-inspiring sights. There’s the 400-foot Orlando Eye observation wheel, a Madame Tussaud’s, a Sealife Aquarium, and an Animals Unveiled ‘museum’. The attractions require tickets but entry to the complex is free, and there are plenty of restaurants, shops, bars and free entertainment. Take a stroll through the Old Town amusement park in Kissimmee and you’ll find great shopping, dining and family entertainment. 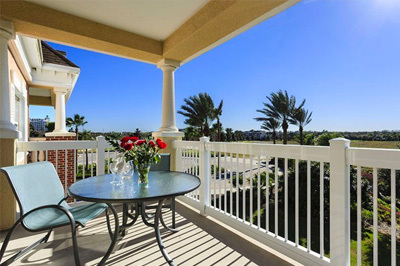 Located on Route 192, just minutes from Disney, this retro walking district is a recreation of a classic Florida town and offers a welcome break from the larger theme parks in Orlando. On Saturday nights there’s a classic car cruise, one of America’s most famous, featuring hundreds of classic cars and free entertainment for all ages. No list of things to do would be complete without mentioning Spook Hill. Each year visitors from far and wide are drawn to this unique spooky attraction at Lake Wales, around an hour’s drive south of downtown Orlando. Visit Spook Hill, park your car in neutral, and be amazed as it appears to roll uphill without any form of momentum. Is the hill haunted, like some local people suggest? Or is it just an optical illusion? This 43-acre oasis in the heart of downtown Orlando offers spectacular views over the city’s iconic skyline. You can eat a picnic next to the lake, feed the resident swans, enjoy one of the many free concerts at the amphitheater, or pop by the farmer’s market on Sundays. For cheap things to do for the whole family, head to Orlando’s most beautiful gardens. Home to an array of beautiful landscaped gardens and the fascinating Leu House Museum, this gorgeous spot is a great way to spend the day learning about turn-of-the-century living for the families who once called this residence home. Entrance is around $3 for children, $10 for adults and free for children age 4 and under. Escape the city at Mead Botanical Garden, an immaculately manicured estate run by the City of Winter Park. Located just a few miles from the downtown business district, there’s a butterfly garden, citrus trees, a lake, and acres of shady picnic spots. There’s also a swamp boardwalk, a pretty hiking trail and an old amphitheater. Entrance is free of charge. A wildlife haven just a stone’s throw from Disney World, Tibet Butler Preserve boasts miles of well-maintained hiking trails for hours of family fun – all for free. 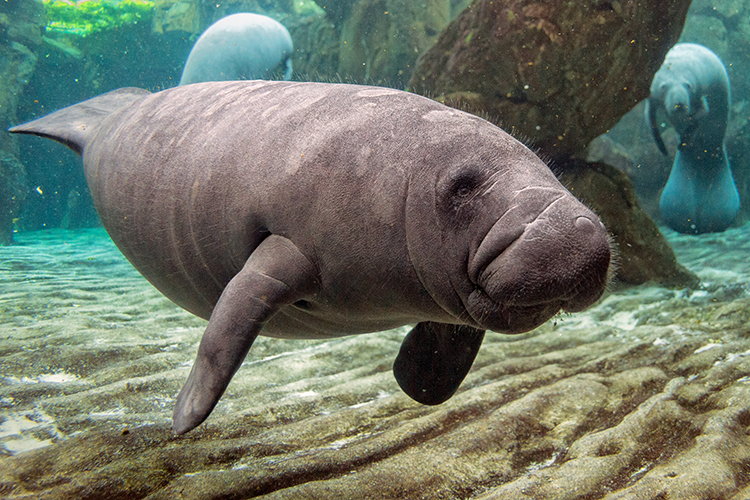 Blue Spring State Park is a dedicated manatee refuge where you can spot Florida’s famous manatee during the winter months. Located west of Orange City, around 40 minutes’ drive from Orlando, the park is a popular tourist destination where you can also go canoeing, kayaking, fishing, hiking, wildlife watching and swimming. Weeki Wachee Springs State Park is the only place in Florida where you can see live mermaids. This stunning natural springs translates as ‘Pretty Spring’ and it certainly lives up to its name. Buy a ticket (around $13 for adults) and you can watch underwater performances by the ‘mermaids’. There’s also a waterpark and boat rides. A top spot for tubing, Kelly Park features a free flowing natural spring and a crystal clear creek where you can float the days away. Along with hiking trails, you’ll find volleyball courts and a playground. You can bring your own tubes or rent one just outside the park. Entrance is around $5 per vehicle for 3-8 people. One of the most unique and fascinating forests in Orlando, Ocala National Forest is known for its huge areas of pine scrub forest, its natural pools and its canoe runs. There are hundreds of trails to explore including one that runs past a sinkhole and the remains of 19th-century homesteads. Every outdoor enthusiast will love the Snowhill Trail, also known as Little Big Econ State Forest. Hailed as Orlando’s largest trail system, mountain bikers can enjoy all day use of the trails for just $2 per person. Not only is it one of the cheapest things to do, it’ll also keep you entertained for hours. With more than 20 million visitors a year the Florida Mall is one of Orlando’s most popular tourist destinations. There are more than 250 stores and restaurants, as well as a free kids’ play area. You can explore the impressive array of shops, or just window shop and admire the mall’s superbly styled interior. You’ll be as amazed by the architecture as you are by the designer stores at the Mall at Millenia in Orlando. Located just off Interstate 4 at Conroy Road, this uber-modern mall boasts a dazzling selection of exclusive brands in an exquisite environment, adorned with gorgeous art, relaxing fountains and breathtaking glass ceilings. 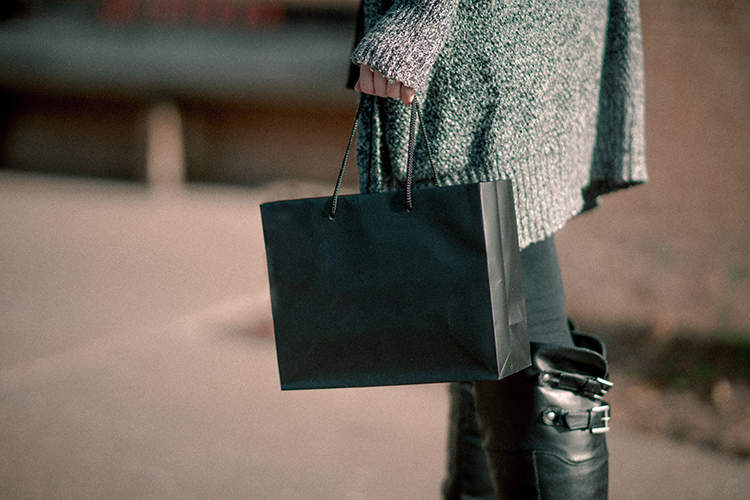 You can buy designer brands at extraordinary prices with savings of up to 65% at Orlando Vineland Premium Outlets, located in Vineland and along International Drive. Visit the Disney-made town of Celebration and marvel at gorgeous gardens, huge houses and all the magic of Disney living. Children can play in the interactive fountain plus, depending on when you visit, you can see artificial snow or falling leaves. Dubbed Florida’s ‘secret garden’, the 5-acre Kraft Azalea Garden is located on the shore of Lake Maitland and is open all year round from 8am until dusk. Unique, secluded and picturesque, a day trip here is one of the best things to do in Orlando if you’re looking to just chill. Located in Oviedo, just a stone’s throw from Orlando’s busiest attractions, Lake Jesup is home to more than 10,000 alligators as well as turtles of all sizes and thousands of species of birds. Black Hammock Adventures runs a free live gator exhibit, plus airboat tours for around $30 per person. The Orlando Public Library is open to all, and hosts a variety of events including special readings, arts and crafts, family movie nights, board games, and musical events. 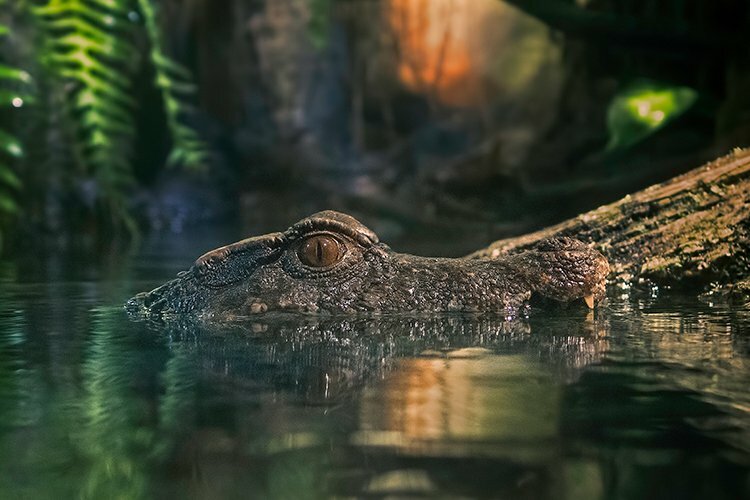 Located in southern Florida, a few hours’ drive from Orlando, the Everglades National Park offers up-close views of alligators and crocodiles, as well as walking tours, airboat tours, bike trips and canoeing excursions. Entrance per car is around $20 and is valid for 7 consecutive days. Fort Christmas was built in present day Christmas, by US army soldiers and Alabama volunteers during the Second Seminole War. Today you can see a full-scale replica of the fort, located just south of Christmas Creek, less than a mile from its original location. There’s also a small museum at the site, along with several restored ‘Florida Cracker’ houses depicting rural Florida life from the 1870s through the 1930s. Entrance is free. Orlando’s historic downtown district is home to some of America’s oldest houses and prettiest neighbourhoods. You can see one of the frequent concerts on the bandstand at nearby Wall Street Plaza, and take advantage of the regular drinks offers and seasonal specials at the surrounding restaurants, bars and nightclubs. Located in the rolling citrus hills in historic Lake Wales, Bok Tower Gardens is home to acres of must-see scenery and a gothic 205-foot Singing Tower housing one of the world’s finest carillons. There are immaculately manicured gardens and walking trails to explore, plus daily carillon concerts that can be heard throughout the gardens. Entrance is $15 for adults and $5 for children, and free of charge for under-5s. Step back in time at Big Tree Park and marvel at the ‘Senator’ site, once home to the oldest and largest cypress tree in the world. Unfortunately the tree was destroyed by fire, but a memorial has since been developed around its massive stump, and a huge clone tree has been planted nearby. Big Tree Park is located in Longwood and is a great option if you’re looking for free things to do in Orlando. Built in 1885 for noted Boston architect Nathaniel Jeremiah Bradlee, the Bradlee-McIntyre House is the only surviving Queen Anne-style cottage in the Orange and Seminole counties. The three-story, 13-room winter vacation house features an octagonal tower and “ginger-bread” trim typical of the flamboyant houses of the period. The beach will always be one of the best free things to do for families, and of the beaches that Orlandoans most love is Cocoa Beach, located just east of the city straight down the State Road 528. Facilities include a 300-acre parking lot, large picnic pavilions, picnic tables, walkways and a bathhouse with outdoor showers and restrooms. It’s around an hour’s drive from Orlando; all you need to pay for is the gas. An hour’s drive from Orlando, Daytona is one of the few Florida beaches where you can drive onto the sand. 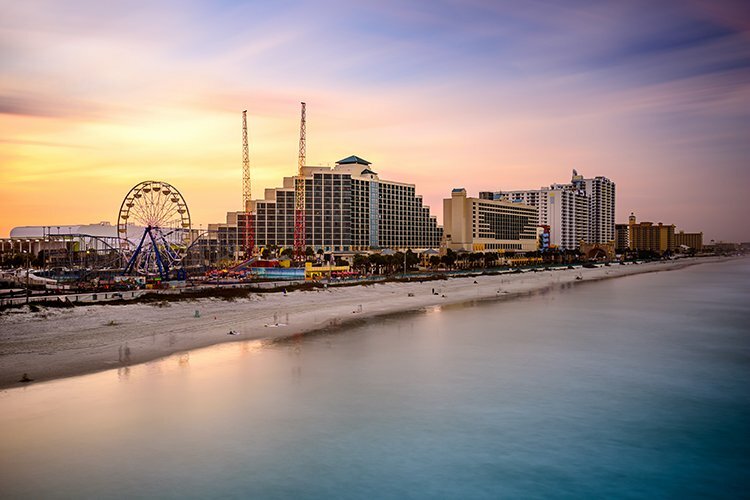 This traditional Atlantic Ocean beach also boasts a boardwalk and a pier, plus child-friendly attractions like a dazzling water park and a family entertainment center. 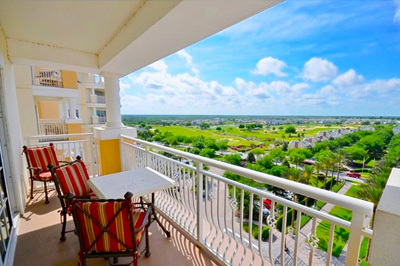 Nearby you’ll find the Daytona International Speedway, historic St. Augustine and the lovely New Smyrna Beach. It may be a longer drive than the east coast beaches but Clearwater is well worth making the effort to get to. Three miles of powdery sands and an abundance of family attractions await in this reawakening old Florida town along the Gulf Coast. 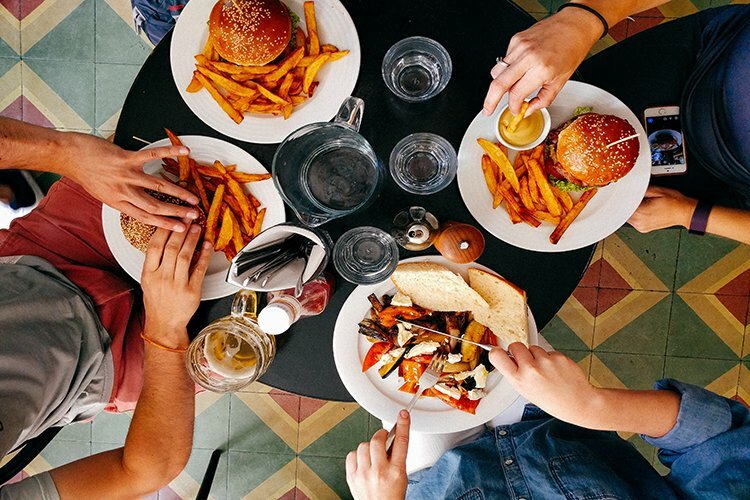 Once you’re there you’ll find plenty of affordable eateries and beach shops. Located in Winter Park, this fascinating art museum houses the world’s best collection of works by designer Louis Comfort Tiffany. There’s also a major collection of American pottery, and fine collections of 19th- and 20th-century American paintings, graphics and decorative arts. Admission is just a few dollars for adults and free for under 12s. Hailed as one of the most eclectic and visually stimulating art galleries in America, the Grand Bohemian is home to awe-inspiring local contemporary art and jewelry, along with European paintings from the 19th century. 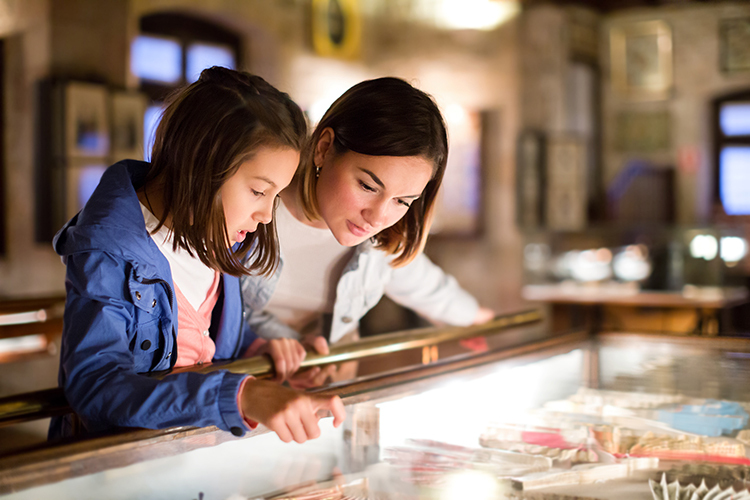 Situated in Sanford, this museum offers a glimpse of Seminole County history through a wide variety of exhibits, including maps, photographs, documents and mementos that tell the stories of Seminole County’s inhabitants, their lives, lineages and local legends. Also located in Orlando, the Cornell Fine Arts Museum has one of Florida’s finest collections of fine art, including works by Henri Matisse, Pablo Picasso, and Thomas Moran, among others. Entrance is free and you can also enjoy a free 30-minute tour of the museum. The Orlando Museum of Art showcases American, African and ancient American art, with a discovery centre, a shop and free parking. Entrance is $15 for adults, $5 for children and free for ages 3 and under. Located in Eatonville, the Hurston Museum takes you on a journey through history starting with the acclaimed author Zora Neale Hurston’s humble beginnings. From 19th-century furniture crafted by slaves to contemporary paintings by urban children, the museum showcases the work of many African artists. Entrance is free. This sobering Holocaust museum at Maitland, around 15 minutes’ drive from central Orlando, is home to a large collection of artifacts from the Holocaust. It’s open every day except Saturdays. Get a great deal on fresh local produce at the weekly Winter Park Farmers’ Market. Held in a vintage train depot, just off Park Avenue, this bustling farmers’ market is a top spot for perusing and purchasing a variety of fresh produce, baked goods, artisanal foods and plants. It takes place every Saturday from 7am until 1pm, all year round. A sprawling country estate some 25 miles west of Orlando, Lakeridge ranks as Florida’s largest premium winery. Complimentary tours and wine tasting are offered 7 days a week and there are many free festivals and events throughout the year. Check out the giant fermenting vats and learn how organic beer is brewed on a tour of Orlando’s only organic beer brewery. Every weekend the Orlando Brewing Company offers free brewery tours and free live entertainment on the outdoor stage. Overlooking Lake Eola in downtown Orlando, World of Beer is a top spot to watch the sun set over the city. 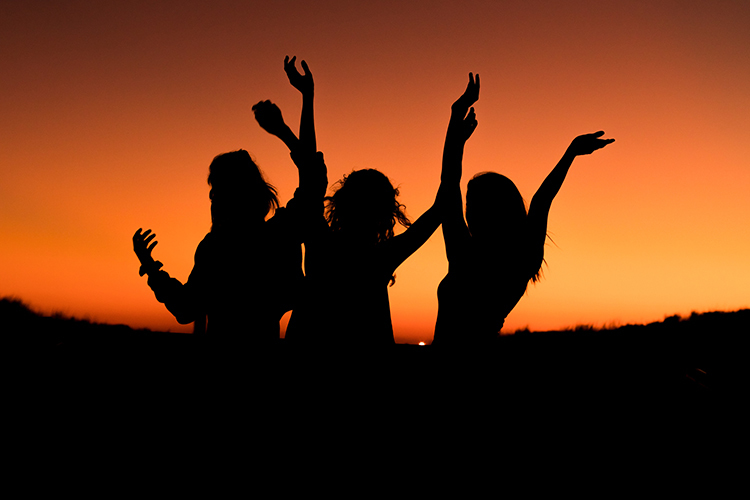 There’s a daily happy hour, plus great value pub grub and free live music shows. Located across Orlando, these health markets offer free wellness workshops, guest speakers and free samples of organic food. The Eden Bar outside the Enzian Theater in Maitland offers daily drinks specials including happy hour and Wednesday night beer pitchers for just $9. Mix running with pleasure with Running for Brews, Orlando’s most famous beer-based running club. Runners meet up at Graffiti Junktion every Wednesday night at 7pm and then proceed to run a 5km route around the neighborhood. At the end there are cold craft brews for free. The Fred Stone Theater at Rollins College in Winter Park is home to a student-produced Second Stage Series. All performances are free and open to the public. The Grand Bohemian Hotel on South Orange Avenue has a posh jazz lounge where you can sip a cocktail and enjoy some of Orlando’s only live jazz music. It’s home to an Imperial Grand Bosendorfer piano, one of only a handful in the world. So if nothing else, grab a cocktail of choice, check out the piano and and relax for a while. An array of popular American television shows are often filmed in Orlando, and if you’re in town during filming it’s really easy to get free audience tickets. To get tickets visit On Camera Audiences and search the Orlando area to see what shows are on, and what times and dates you can sign up for. Recent shows have included ‘Family Feud’ and ‘American Ninja Warrior’. Sing, dance and howl along as the state’s most talented musicians perform all your family songs at this part-bar, part-concert venue. Located at International Drive, all it costs is the price of a drink. Held on the second Thursday of each month in the Central Park area of Winter Park, the Popcorn Flicks series features classic films for the whole family, and they are free for anyone to attend. Shows typically start at around sunset and are dependent on the weather. Hailed as one of the best free and cheap things to do in Orlando, the Orlando Fringe festival is a major event featuring amazing theater, music, dance and art productions. During the festival there are dozens of shows on for kids and adults alike. Tickets range in price from free – $12. Each year Orlando’s Creative City Project hosts its annual Immerse event where more than 1,000 local artists and performers bring the heart of the ‘City Beautiful’ to life. Whether it’s a ragtag group pushing a concert pianist through downtown on a wheeled contraption, or Cirque du Soleil performers dangling above City Hall, you’ll enjoy an array of experiences. Basic tickets are free. If you’re looking for things to do in Orlando, the Orlando Film Festival is also well worth visiting; it features a lot of quirky, independent movies. It’s not free but it’s great value for what you get. A one-day pass is $20 and you’ll get access to films, music events and interactive activities. For music lovers, Tanqueray’s bar in Downtown which is a true gem. It has live music every night of the week from some of Orlando’s best bands like Christian Ryan, The Groove Orient, Ancient Sun and Daniel Heitz. There’s no entry fee so it will just cost you the price of a drink. The Melrose Center in Downtown offers classes in various subjects including music and art to name a few. There’s no shortage of knowledge you can gain, all at no cost to an Orlando resident besides a library card. If dance is your scene you really can’t beat the Orlando Ballet. You can see beloved classics such as The Nutcracker and Carmina Burana, or new creations like Mad Tales of the Hatter and other performances. Regular tickets cost around $200 however subscribers and families can get cheap tickets that start from $15. All the family are invited to frolic inside Orlando’s only authentic Irish pub, Raglan Road. It was built entirely in Ireland and then shipped lock, stock and barrel to Disney Springs. Entrance is free, and the menu offerings are all great value. While you’re dining you’ll enjoy fantastic live music and award-winning Irish dance shows. If you are in town for St Patrick’s Day be sure to stop by the Mighty St Patrick’s Day Festival. Entrance is free. You can see Orlando Magic at the Amway Center for as little as $15 if you book seats in Game Tier 7 at Promenade B. Alternatively, if you opt for Ultimate seats in Game Tier 7 you’ll pay around $167 but you’ll benefit from up-close views of the game as well as access the Ultimate Lounge with all-inclusive food and beverage. At the Orlando Cat Cafe you can relax with a steaming cup of coffee while watching the playful antics of cats and kittens. The venue is the first of its kind to open in Central Florida and is both a cozy coffee house and a cat play/adoption center. You can buy premium tea, coffee and pastries in the main cafe which has cats roaming freely, or for a small fee you can pet and cuddle feline residents in the designated Cat Play Zone – or even adopt one. See more than 500 animal skeletons displayed in over 40 fascinating exhibits at the Skeletons Museum of Osteology. Included in admission, guests can go on a special scavenger hunt, hold real animal bones and get involved in many different events and education programs. Tickets are available from as little as $5.99. 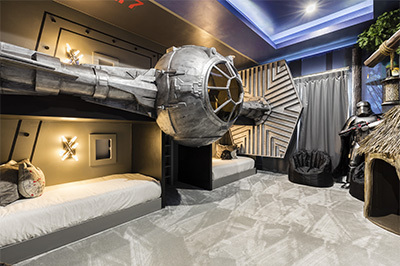 If you’re booking an Orlando vacation and you’re looking for top-notch accommodation check out our luxury vacation homes in Orlando. 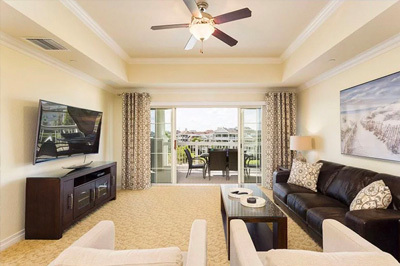 Simply browse through our Orlando villas and condos, then use the filters to select the number of bedrooms and any other amenities you’d like to add. Once you’ve found your perfect home, you can book online safely and securely. Top Villas content manager Georgina lives on the Kent coast and loves to travel and experience new cultures. The next thing she wants to tick off her holiday bucket list is kitesurfing at Sunset Beach in Cape Town. I’m going to kissimmee in feb 2019, where is the best places to go with my disabled grandson, he’s wheelchair bound. Go to Kissimmee Lakefront Park, there’s a lot to do and it’s a beautiful area. We had a great time there and actually went 2 days and it’s free! The Grandson will like it. Thanks, we are very pleased to have such positive feedback! Kelly Park is not free to get in. Why did you list things that are 2-3 hours outside of Orlando? The Everglades aren’t even close…lol. Otherwise these are some decent activities. Great read with my morning coffee. Sign me up for the Top Villas newsletter! © Copyright 2019, Top Villas Ltd.